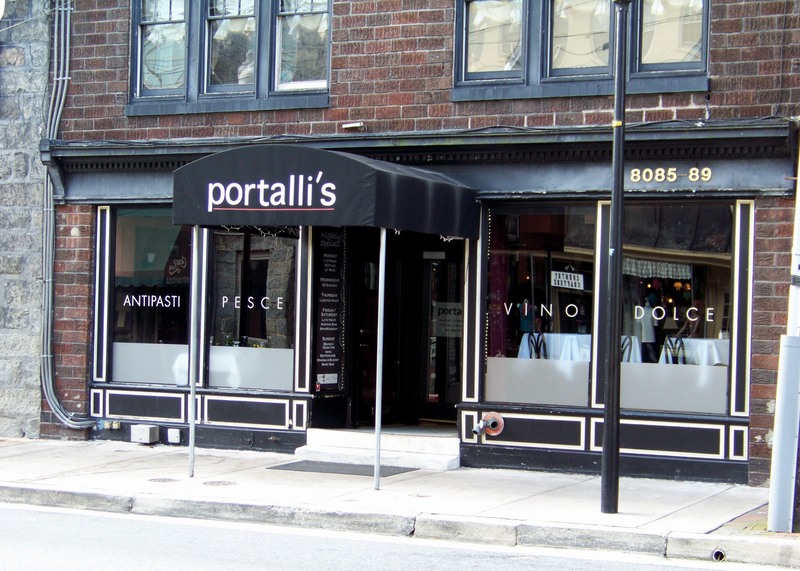 I have to start this off with the fine meal we had a Portalli’s this evening in Ellicott City. It was excellent company, with great food in a wonderful environment close to home. We sat downstairs for the first time for dinner. I found this very comfortable and might asked to be seated down there in the future. I found it a bit easier to talk. But I did like the piano music last time we were upstairs. Well give and take and just alternate. Or go with the mood in the future I guess. Anyway service was grand. We did have to wait for a valet for a short bit but I think he was the only one working so its hard to be in two places at once. Regardless he was very nice and we were seated quickly with the exception of waiting for someone to take a family photo at dinner. No problem at all. Our waitress (I’m very sorry I didn’t catch her name) was very good. I though her timing was perfect. I didn’t feel rushed. She was there confirming all was well several times (after each course), cleaned up any dishes promptly and most of the time without interrupting the flow of our multiple conversations. I didn’t have to ask for a thing all evening. Drinks and refills were always there. New silver between appetizers and main entrees. A steak knife for yours truly. Plates for our appetizers. Waters refilled. Crumbs cleaned from the linens. Everything went well. You know a waiter/waitress has to have a good sense of timing and people. And when you have multiple people finishing it can’t be perfect for everyone but tonight was about the best table service I’ve had in a good while. And a tip of the hat to the Chef. The Baked Oysters were the best I’ve had in some time. The cold seafood appetizer we also shared (a special of the day) was very good also. The melting butter candle was unique and good. My three dinner mates all had salads. They seemed to be very happy with them. I think they were the Portalli’s salad. Sorry, I’m not a salad person, but I have had their Caesar before and that was great. Instead of going with my favorite Seafood Carbonaro, I decided to go for the Filet Minion with friend eggplant as a side. The steak was ordered medium. It was perfectly cooked and had some nice seasoning. Very tender. My better half had the Surf & Turf Rigatoni. Our friends had the Cioppino Over Pappardelle and the Prosciutto-Wrapped Cod. Everyone was very pleased and it was a great meal and conversation. It was a great way and place to spend a Saturday evening. It also was another great reminder to take every opportunity possible to get together with friends. I love my wife dearly and enjoy her company very much. But it’s also nice to have friends to socialize with. For both of us and anyone really its a healthy thing to have and do often. And I say often because the more you do with friends, the stronger those relationships are. The more fun is had and the quality of life for everyone is improve. Thanks for the great company last night C&J. Categories: Food, Howard County Maryland | Tags: food, HCMD2016 | Permalink.